Many of the fern fiddleheads in the bogs are now harvestable delicacies. Some are just emerging and will be ready in a few days. 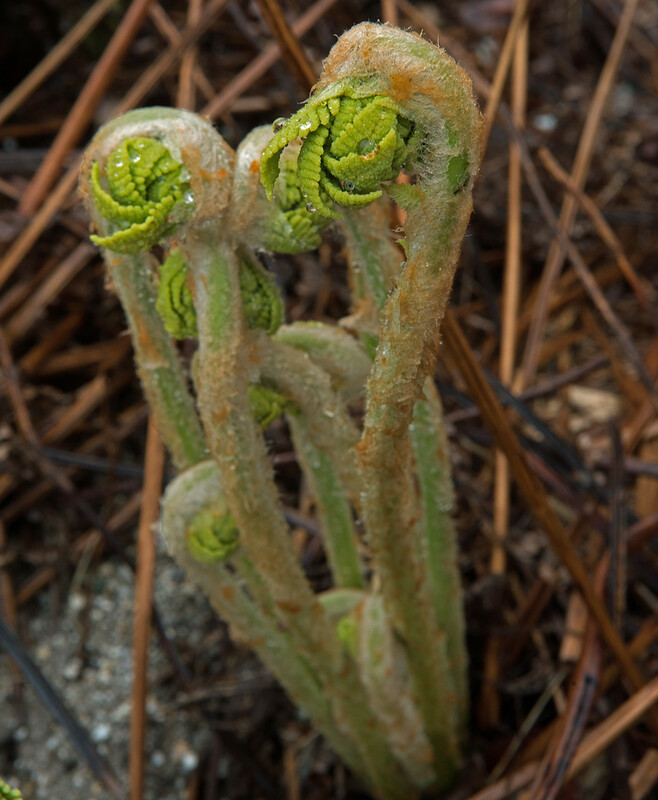 Fiddleheads are the tops of ferns just before they unspool into lacy plants. All fiddleheads have toxins, but some have a tolerable amount if cooked well.